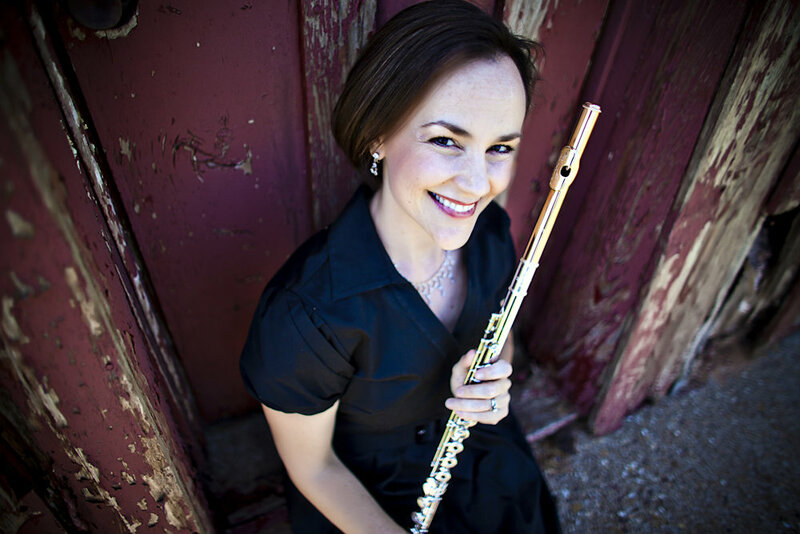 August 16, 2017Carol Wincenc Residency at Texas Tech University September 16-20It is an honor to host soloist and Juilliard flute professor Carol Wincenc at the Texas Tech University School of Music this fall for a five-day residency. 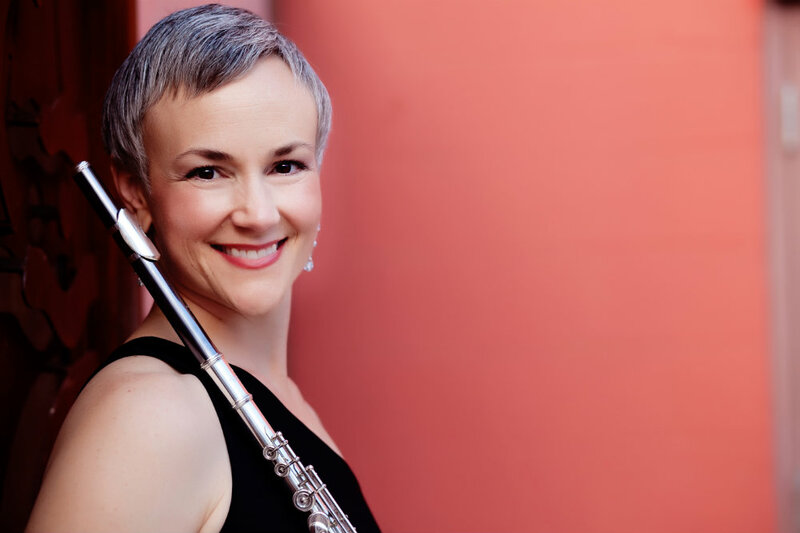 On Sunday, September 17 at 7:30pm Carol will perform the World Premiere of Joan Tower's Rising for Flute (arranged for orchestra) with Philip Mann conducting the TTU Symphonic Orchestra. 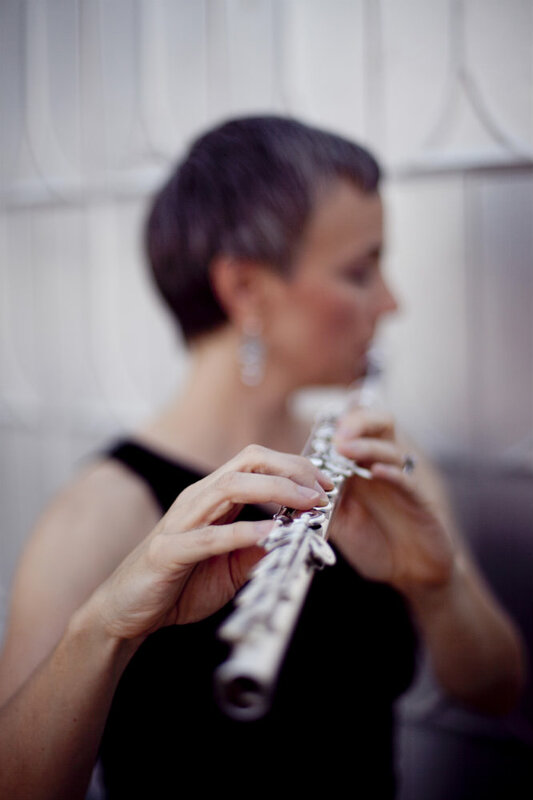 Masterclasses with the TTU Flute Studio will take place the following Monday, Tuesday and Wednesday evenings. Carol will be available for private lessons on a limited basis. If you are interested please contact me for details. 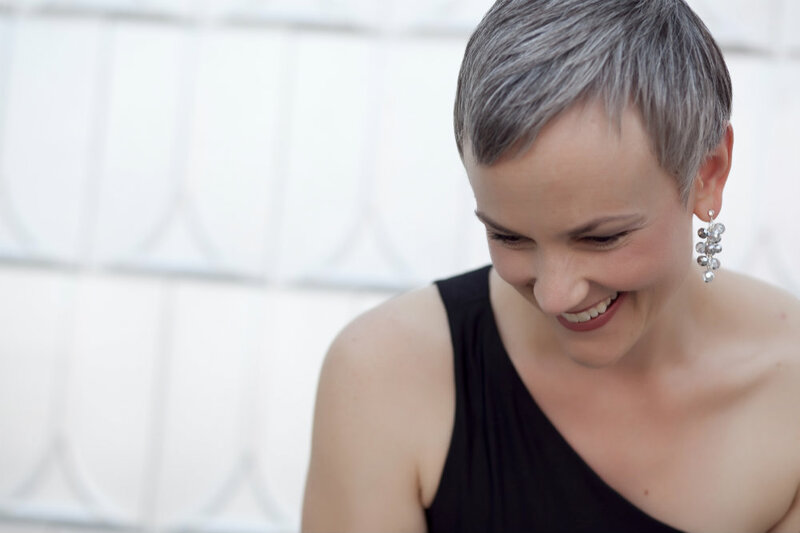 Lisa Garner Santa’s versatile programming ranges from the elegant Baroque music of Bach to the jazz-inspired writings of Mike Mower. 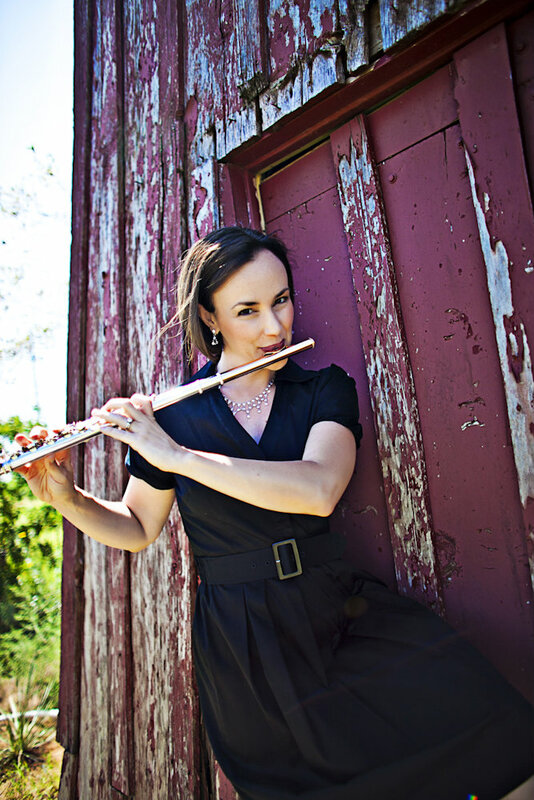 Her passion for contemporary flute repertoire was sparked over a decade ago by the early flute works of Lowell Liebermann, which was the topic of her dissertation. 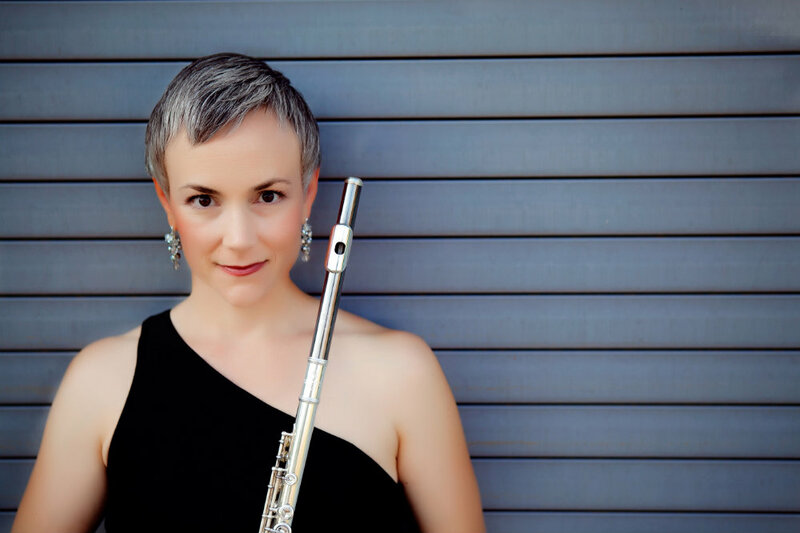 Since then, she has supported the effort to expand and promote new music by performing and commissioning works from young as well as established composers including Warner Hutchison, Matthew Santa, Mike Mower, Joel Puckett, Derek Bermel and Peter Fischer. 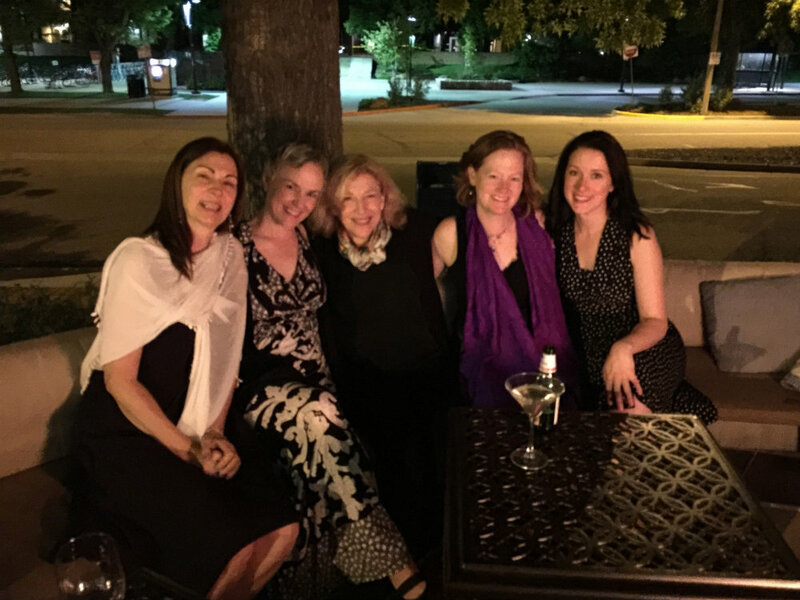 As a pedagogue, Lisa Garner Santa presents masterclasses throughout the United States and abroad. 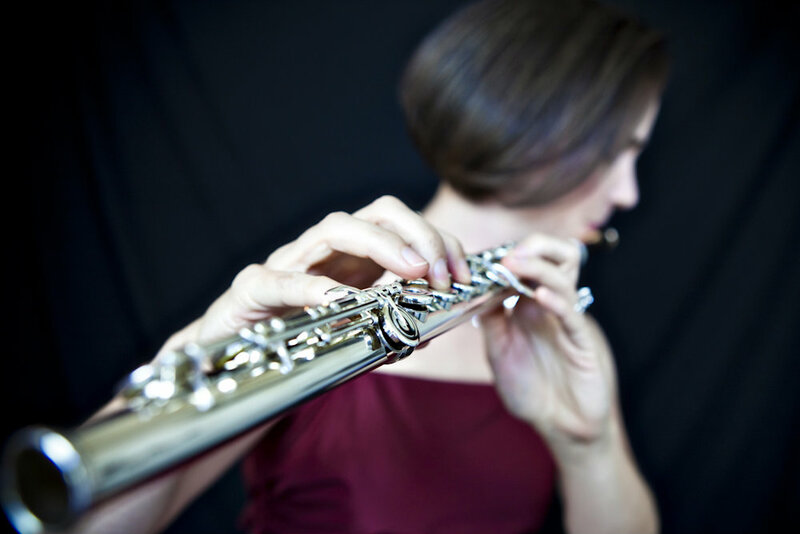 International exchanges include masterclasses at the Royal College of Music in London, England and Victoria University in Wellington, New Zealand, as well as Peking University in Beijing, China. 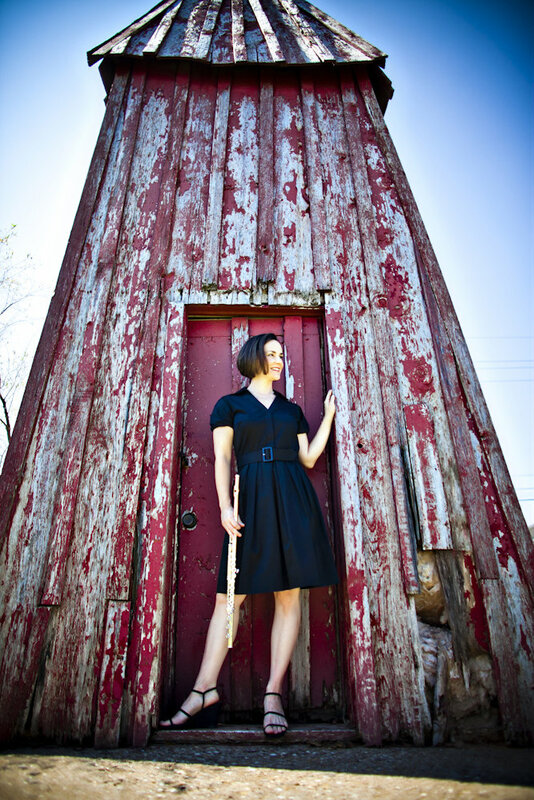 Presentations and performances at various regional and national conventions include invitations from the Texas Music Educators Association, the Texas Music Teachers Association, the National Association of Wind and Percussion Instructors, and the College Music Society. 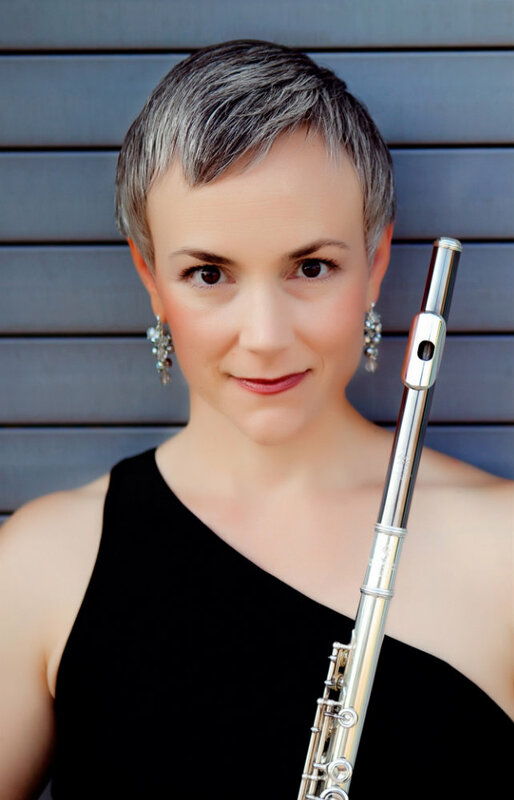 Her research, pedagogical articles and interviews are published in The Flutist Quarterly, The Flute View, Flute Talk, and The Instrumentalist. In recognition of her creative teaching, she was awarded the Texas Tech Big 12 Fellowship, the Texas Tech Alumni Association New Faculty Award, and the President's Excellence in Teaching award. She is also an Executive Council member of Texas Tech University’s prestigious Teaching Academy and a graduate of TTU's Institute for Inclusive Excellence. As an active member of the National Flute Association, Dr. Garner Santa has been a featured performer at the numerous conventions. 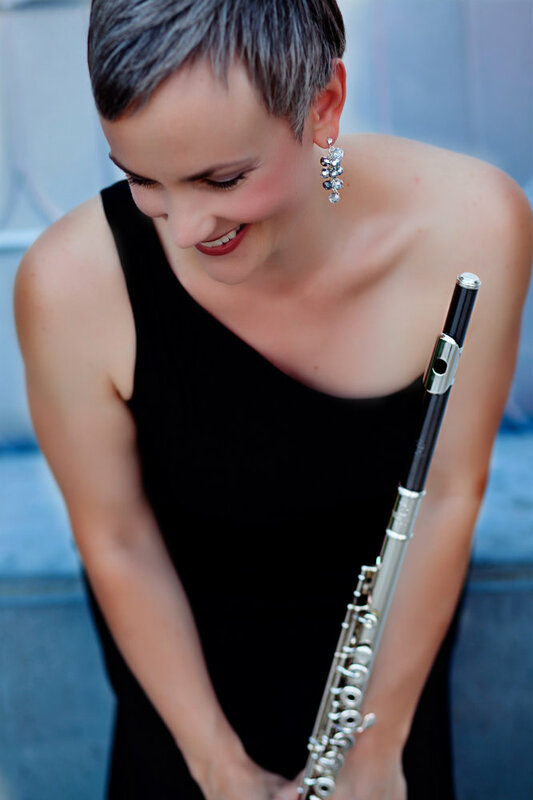 She has served as adjudicator and/or coordinator for many NFA events and competitions including the High School Soloist Competition, the NFA Newly Published Music Competition, the NFA Professional Flute Choir Competition, as the General Competitions Coordinator, and as NFA Convention Associate Program Chair for the 2002 convention. She served the NFA as Program Chair for the 2011 convention held in Charlotte, NC followed by two years on the NFA Executive Committee. 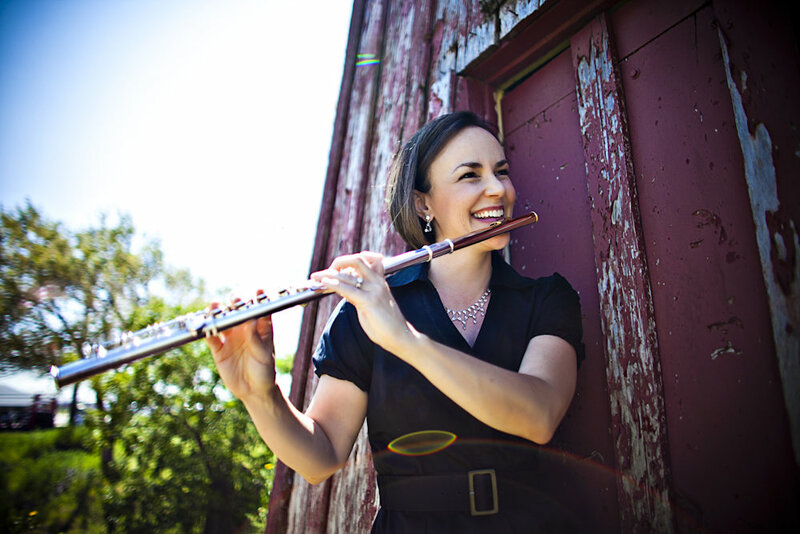 With co-authors Matthew Santa and Thomas Hughes, Lisa Garner Santa developed the Flute/Theory Workout, a method that efficiently introduces full-range scalar and chordal flute technique while introducing music theory fundamentals at the same time. The Workout, which comes with an entertaining accompaniment CD, is available through Carolyn Nussbaum Music Co., and Flute World. Dr. Garner Santa holds performance degrees from West Texas State University, Florida State University, and The Shepherd School of Music at Rice University. Her teachers to whom she is eternally grateful include Carol Wincenc, Charles DeLaney, Sally Turk, and Helen Blackburn. 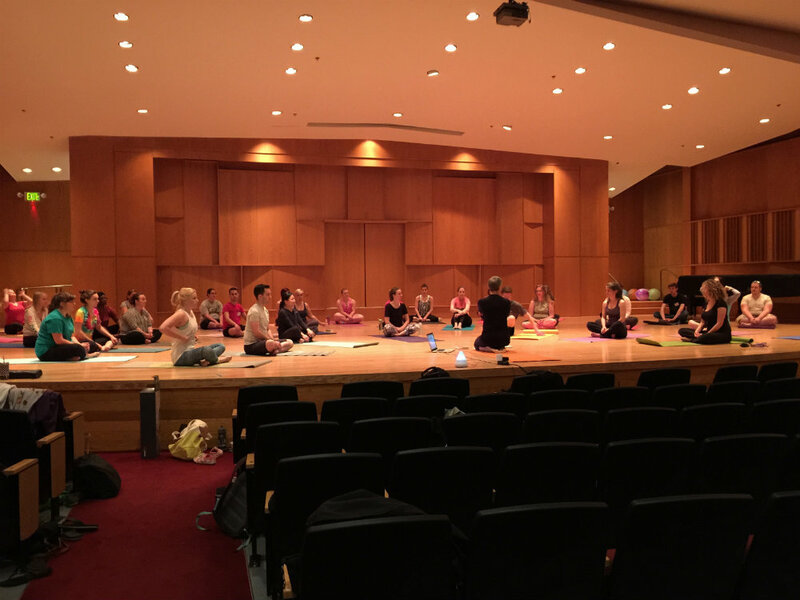 Additionally, Dr. Garner Santa is a certified Professional Yoga Instructor through the Kripalu Center, directs Yoga Shala Lubbock, and teaches Yoga and the Creative Arts: Philosophy and Practice, a core curriculum course at TTU. Visit lisagarnersanta.com. Lisa Garner Santa is a Wm. S. Haynes Ambassador/Clinician. 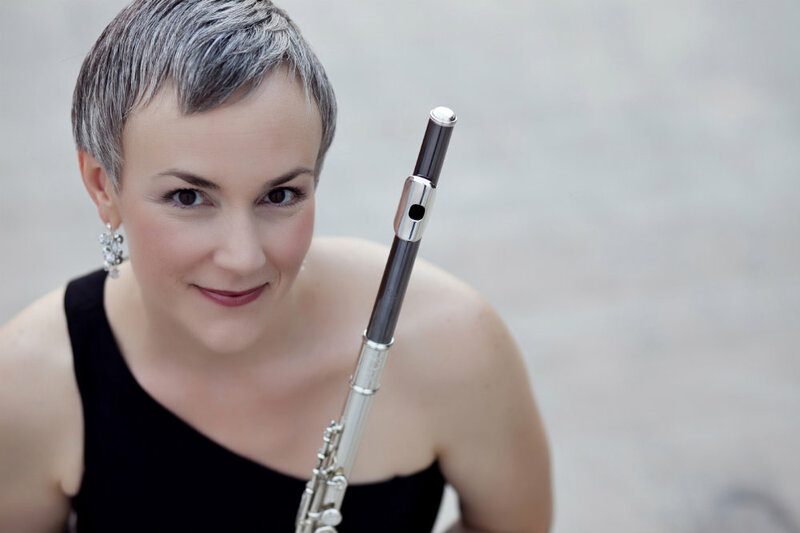 Featuring fine playing and an intriguing programme, Lisa Garner Santa’s recital was selected to explore ‘the internal aspects of shade and light’. In doing so, it coalesces into one soothing, pleasant wash of sound dominated by Jake Heggie’s exquisite Soliloquy, commissioned by Camerata Pacifica, one of Southern California’s leading chamber music series, as a memorial to a longtime supporter. 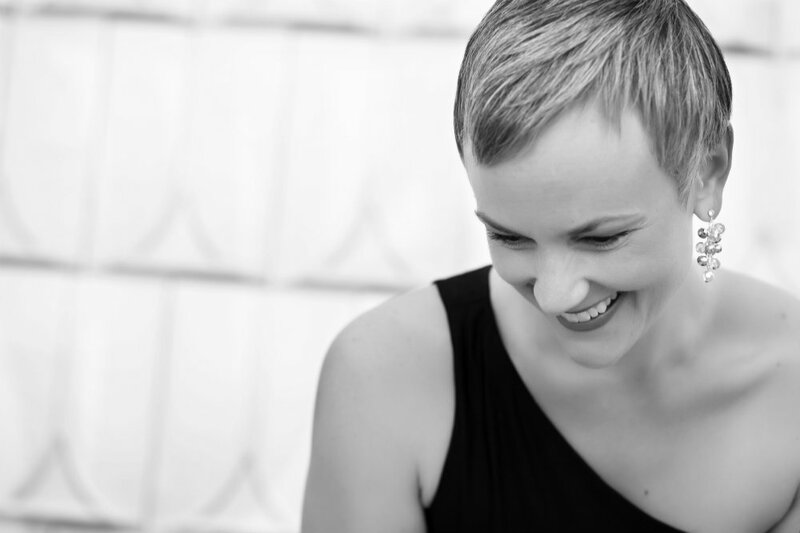 Transformative at its root, Soliloquy is a setting of the song ‘Beyond’ from the composer’s Pieces of 9/11: Memories from Houston, and Santa’s playing of the heartbreaking melody connects with the music’s profound message of peace through consolation. The disc opens with the tangible dreams and mortal fears of Joseph Schwantner’s Black Anemones, then proceeds to three helplessly happy, innocuous and rarely recorded sonatas by Giuseppe Rabboni, principal flute at La Scala during the second quarter of the 19th century (Sonata No. 13 is ‘based’ on a Donizetti oboe sonata). York Bowen’s Sonata, written in 1946 for the Philharmonia Orchestra’s principal Gareth Morris, remains a appealingly conservative as it was originally: fluent in its technique, attractive in the sounds it gives to the flute to make, English in its form, and Impressionist French and Russian at its heart. The sonatas by Martinu and Matthew Santa provide additional moments of beauty. 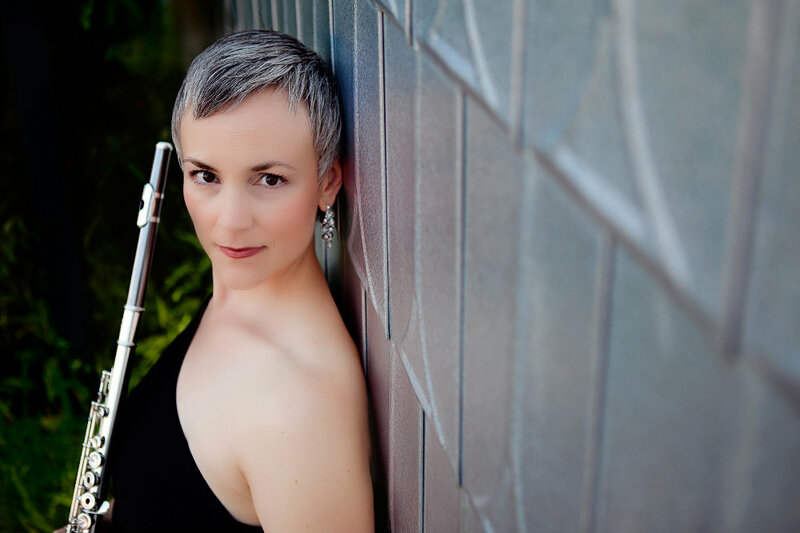 The flutist Lisa Garner Santa has chosen an eclectic group of works to “explore internal aspects of shade and light through the aspect of sound”. In that sense, this recital is an exploration of our shadow side, whether that be a place of fear or safety. First up is Joseph Schwantner’s Black Anemones of 1980, based on a poem by Agueda Pizzaro, and originally for soprano and piano. A child dreams of its mother and explores issues of abandonment; on another parallel level of exploration, Schwantner explores the various manifestations of the anemone through folklore and legend. It is a fascinating premise, and the musical realization is gorgeously achieved. This is a miraculously affectionate performance of a highly atmospheric piece, one that encompasses all the depth the foregoing explanation might imply. The nineteenth-century composer Giuseppe Rabboni was principal flute of the Teatro alla Scala from 1826 through 1856. The influence of the Italian operatic masters Bellini, Donizetti, Rossini and Verdi are all on show here (the Sonata No. 13 uses a theme from a sketch by Donizetti for an oboe sonata). Interestingly, the piano accompaniments here are composed by John Alley (a keyboardist with the London Symphony). The pieces really are charming, with that No. 13, actually the second one on offer here, proffering the highlight: the long “vocal” solo line against a simple accompaniment is wonderfully operatic, and Garner Santa offers terrific legato. There are a number of extant versions of Bowen’s Flute Sonata, including one I reviewed in Fanfare 38:6 performed by Kenneth Smith and Paul Rhodes on Divine Art (this was a program of all-British music). While the ArchivMusic website lists five versions, there is at least one other, by members of the Endymion Ensemble on Dutton, that one a wonderfully fresh account. Garner Santa and Sukhina claim a more intimate space for the first movement than the Endymion, yet one that still flows beautifully. The current recording uses the most recent (2000) version of the score. It is a performance of the utmost honesty: that reposeful first movement is beautifully performed, while the central Andante piacevole is truly gorgeous sonically (not for nothing is Bowen sometimes called the “English Rakhmaninoff”); the finale is playful and sprightly, its nature excellently caught on the wing here. The First Sonata of Martinů demonstrates that fluidity of invention so characteristic of this composer. There is an acidic tang to some of the harmonies, yet the piece is shot through with radiant daylight, particularly in the first movement. The far more interior central Adagio is a miracle of concise expression on the composer’s part; the finale is fairly complex, with some lovely crunchy harmonies for the piano. Matthew Santa’s Flute Sonata begins dissonantly on piano, almost as if a tribute to Prokofieff in his more strident mode. The surface does soften, however, melting somewhat into some lovely descending bell-like figures heard in delicious imitation. The central Largo is hushed, and notably properly pianissimo on the piano: Sukhina really is a sensitive musician. Garner Santa’s melodic lines unfold effortlessly above this bed of sound; the finale, Presto, offers an attractive mix of the pretty and the sophisticated. Finally, a piece by Jake Heggie. The opera Dead Man Walking is probably Heggie’s most famous piece. 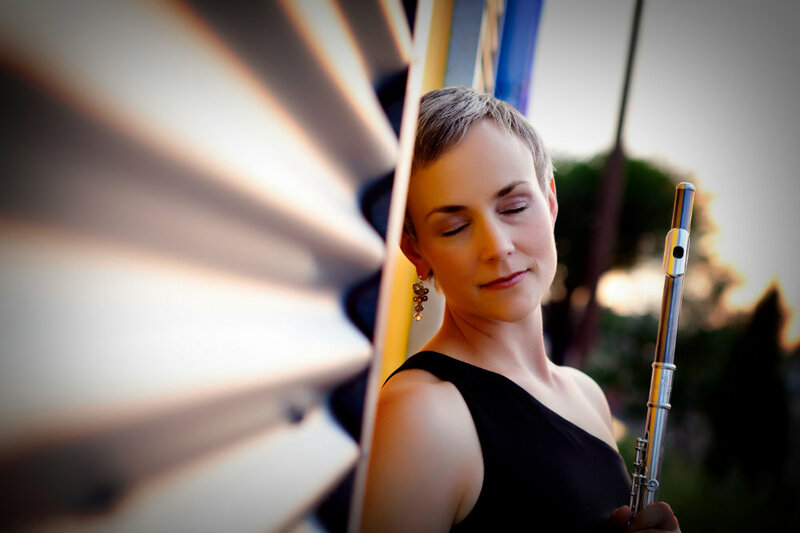 His Soliloquy for flute and piano is a meditation on grief and is actually a setting of Heggie’s song “Beyond” from Pieces of 9/11: Memories from Houston. It begins with a dissonant, restrained yet heart-felt cry before a shaft of hope finds its way into the frame. The tender melody that begins just before a minute in, against a high-register accompaniment, is very effective in its directness. 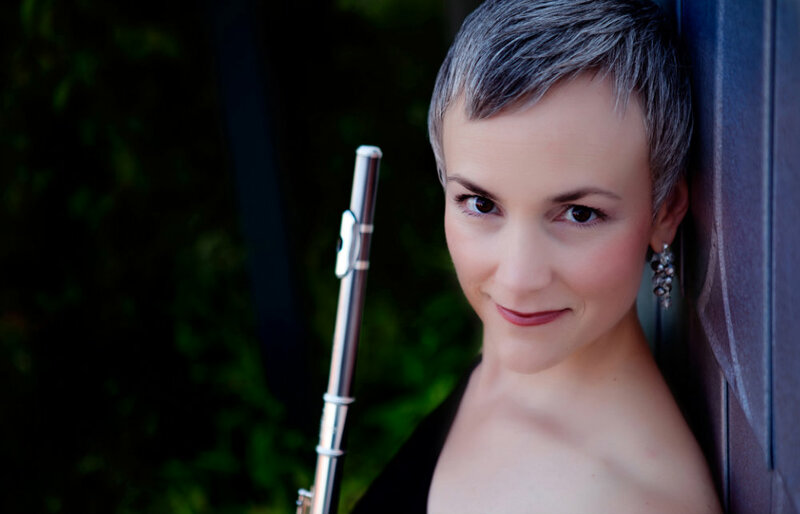 Currently Professor of Flute at Texas Tech University, Lisa Garner Santa is clearly a primary exponent of her instrument. Everything on the disc is delivered with fine expertise as well as a true feeling for the varied musics. 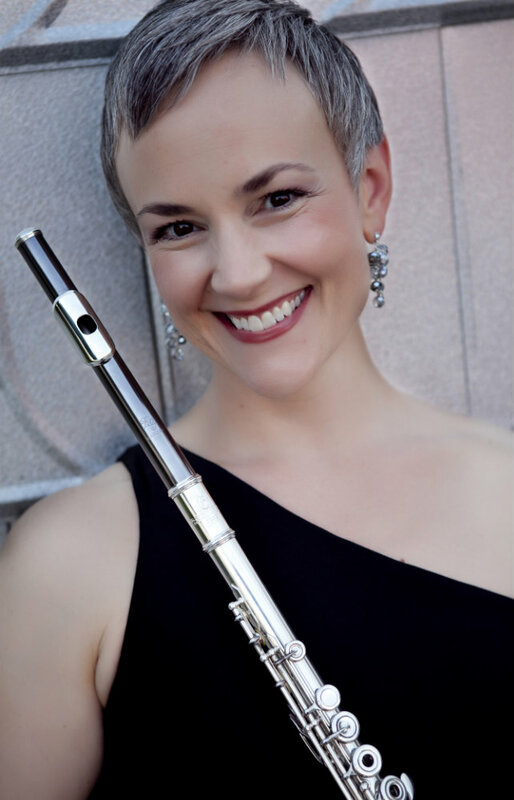 Congratulations to Lisa Garner Santa for her new CD “Shades of Sound, Chamber Music for Flute and Piano” recorded with pianist Nataliya Sukhina. In selecting the works for this beautiful recording, Santa shares these thoughts: “I intended to explore the internal aspects of shade and light through the aspect of sound…” With this concept in mind she chose an eclectic array of compositions: Schwantner – Black Anemones, Rabboni – Sonata’s, Edwin York Bowen – Flute Sonata, Martinu – Sonata, Matthew Santa – Sonata, and Jake Heggie’s –Soliloquy. Lisa Garner Santa plays with a beautiful ease and freedom. Two of these pieces were originally written for voice: Heggie’s and Schwantner’s. Another is not far removed in style from opera: the “sonatas” by the Italian flutist-composer Rabboni, who lived from 1800 to 1856, are one movement each, and three have been selected to create a set: 14 followed by 13, then 16. And another piece, the sonata by Martinu, contains bird song, so aspects of song permeate this program. The sonata by York Bowen (1946) is getting played more since a corrected edition came out in 2000. It is always welcome, and here is another fine rendition. 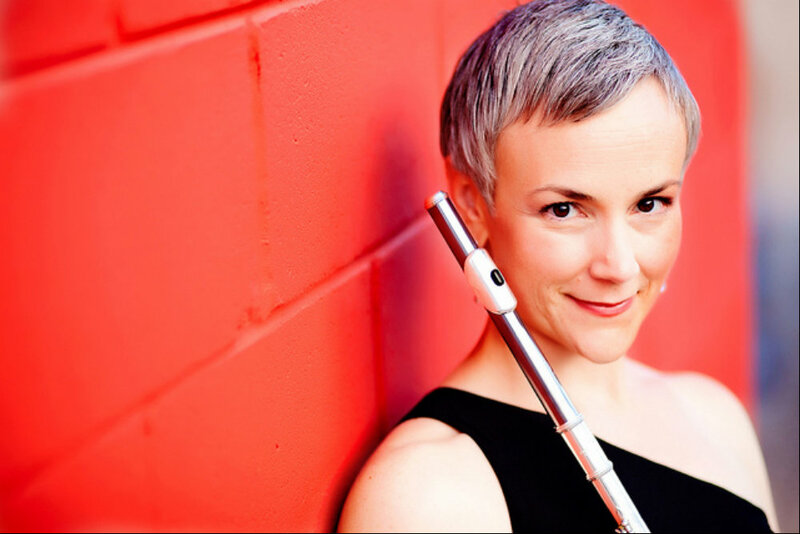 Join us in beautiful Boulder, Colorado, for a five-day immersion into the flute. The comprehensive 2016 seminar will include masterclasses, recitals, panel discussion, jazz improvisation class, yoga and movement and journaling class. We will share meals, hikes and community. Up to 18 performers will be chosen for the masterclass slots by recorded audition. There is no limit to the number of participants for this class. 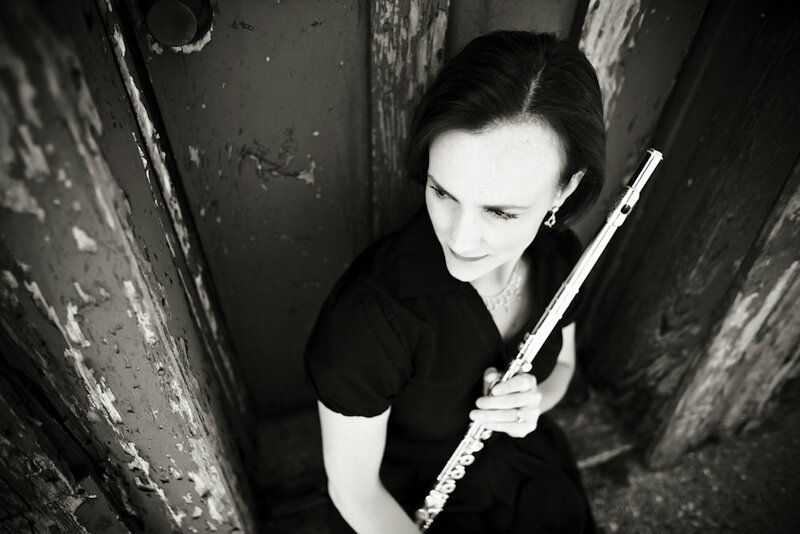 All flutists 18 and older are encouraged to apply! 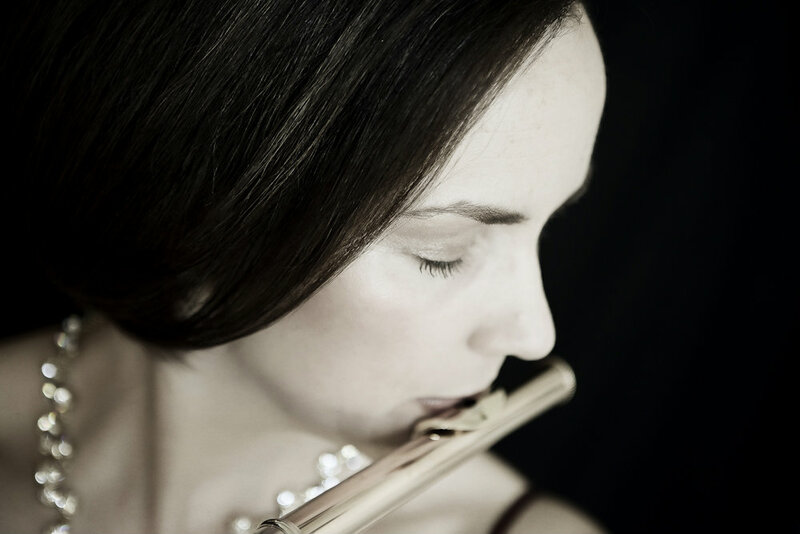 Leading flute manufactures will also exhibit instruments and goods for all to try. 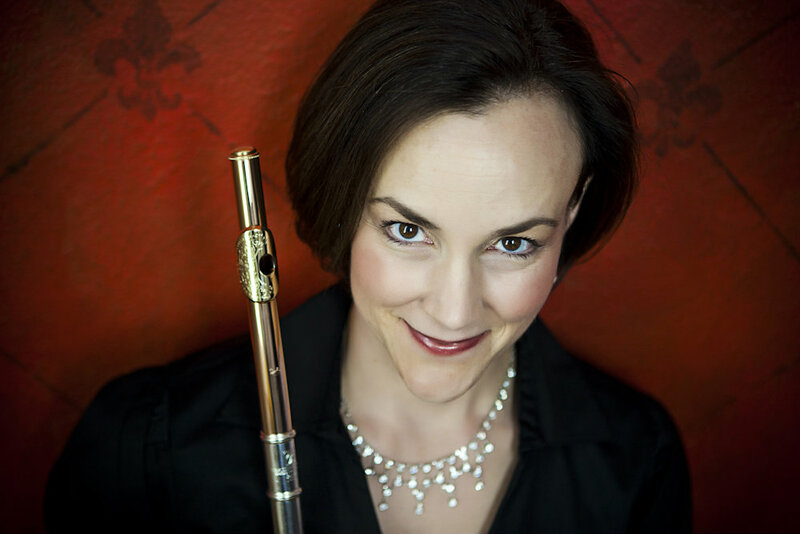 This year we will have Powell flutes and Flutistry of Boston. Improvisation: Conquer the Fear and Find the Love! Two contrasting pieces that demonstrate your musically expressive ability, one to demonstrate lyricism and one to demonstrate technical facility and articulation. Class I solos, as well as etudes, are acceptable. Accompaniment is not required. All 12 major scales from memory, two-octave minimum. Proficiency in performance of minor scales from memory is highly suggested. 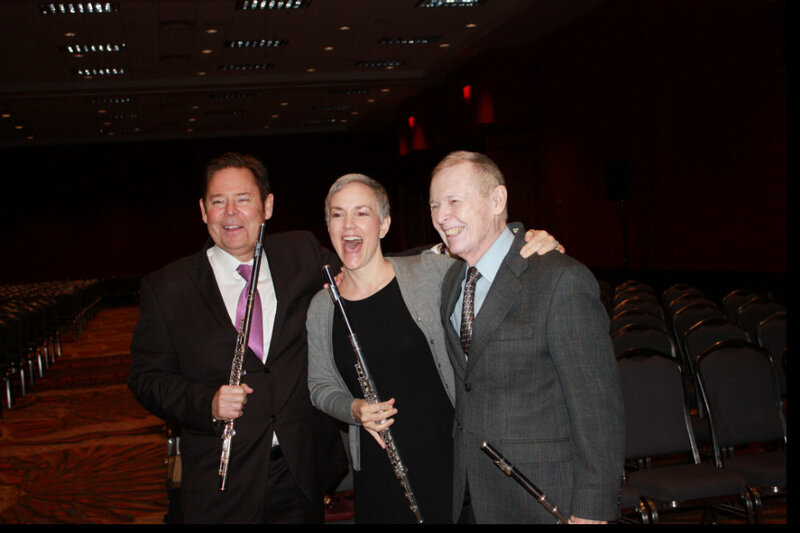 Friday, August 12, 2016National Flute Association ConventionTown and Country Resort - Royal Palms 1-2San Diego, CAMatthew Santa's Eight Hands for flute, clarinet, saxophone and piano - Lisa Garner Santa, flute - David Shea, clarinet - David Dees, saxophone - Carla Cash, piano. March 9, 2012Guest LecturerShepherd School of Music, Rice UniversityHouston, TX"Composing the Musician's Mind"